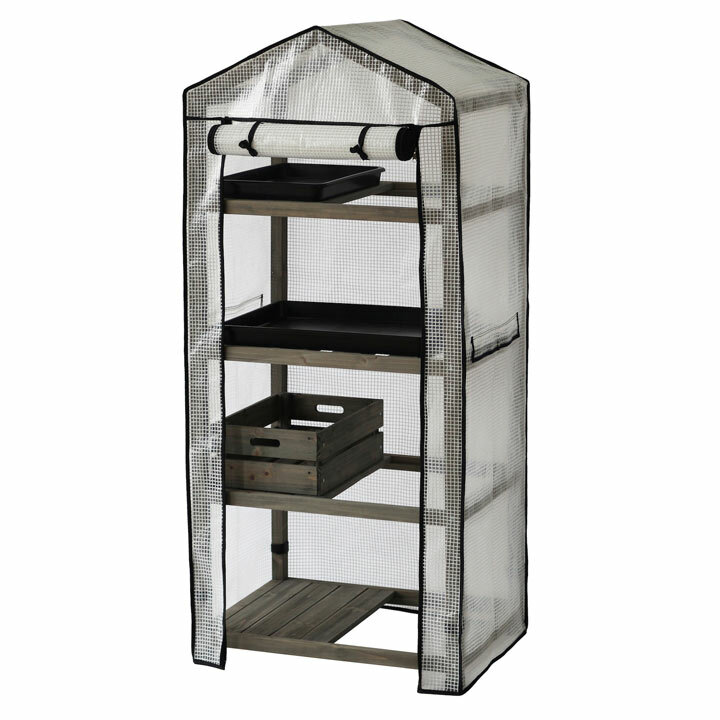 This unique, innovative high-quality greenhouse is suitable for any garden, or growing area, large or small. Adjustable to your requirements, four shelves can be moved to enable a variety of seeds and plants to be grown with ease. The nursery comes with a greenhouse cover with an opening section, in reinforced high-quality material. Dimensions: height 157.5cm, width 70.8cm, diameter 49cm.